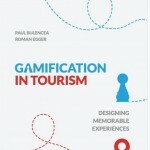 We did a nice little summary about our book “Gamification in Tourism: Designing memorable experiences“, which was just published on Tnooz.com. There we present our Memorable Experience Design (MED) Framework and provide some of the techniques outlined in the framework. We are proud, that Tnooz published our analysis!